The reason I bring this up is because we really did do the Martha Stewart Action Plan! If you want to try a cleanse while you eat (only homemade food), I absolutely suggest this one. After one week, I felt completely different. I think I was literally skipping out of bed in the morning! 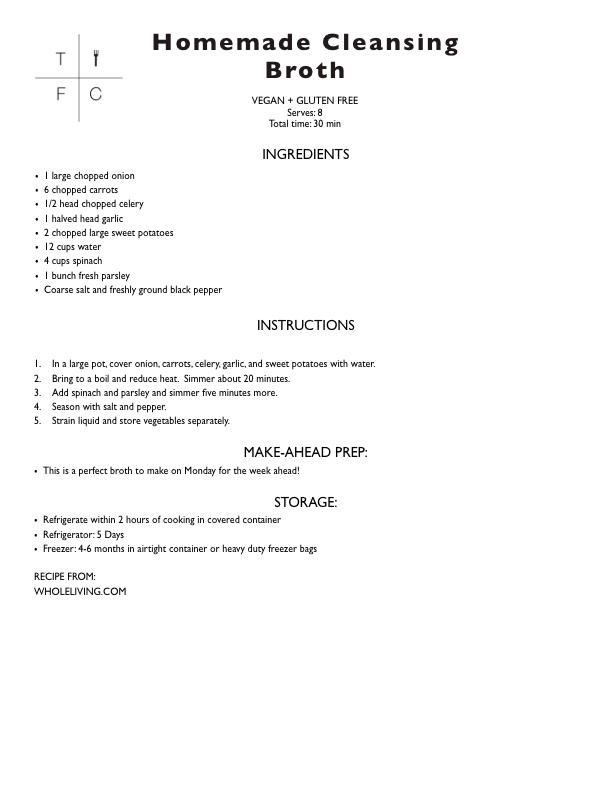 My favorite recipe from this cleanse was the homemade cleansing broth. Since I make a ton of homemade soups now, I realize the importance of broth flavor in the whole soup. 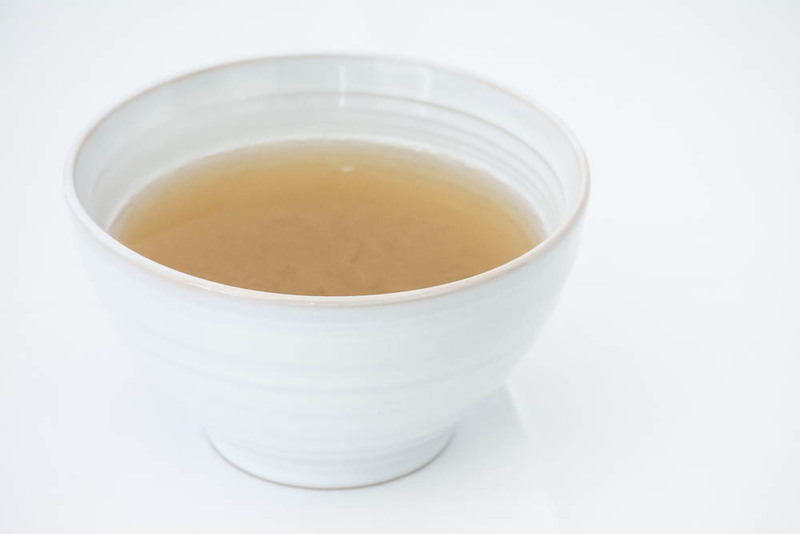 The name of this broth rings so true as it honestly feels cleansing while you eat or drink it! Use broth in recipes as veggie broth or stock. Keep veggies from broth separation and eat it as a soup (with the veggies). Drink warm broth as a hot elixir. In a large pot, cover onion, carrots, celery, garlic, and sweet potatoes with water. Bring to a boil and reduce heat. Simmer about 20 minutes. Add spinach and parsley and simmer five minutes more. Strain liquid and store vegetables separately. This is a perfect broth to make on Monday for the week ahead!